The Shun Premier Tim Mälzer Series has been tailored specifically to the needs and requirements of professional chefs. 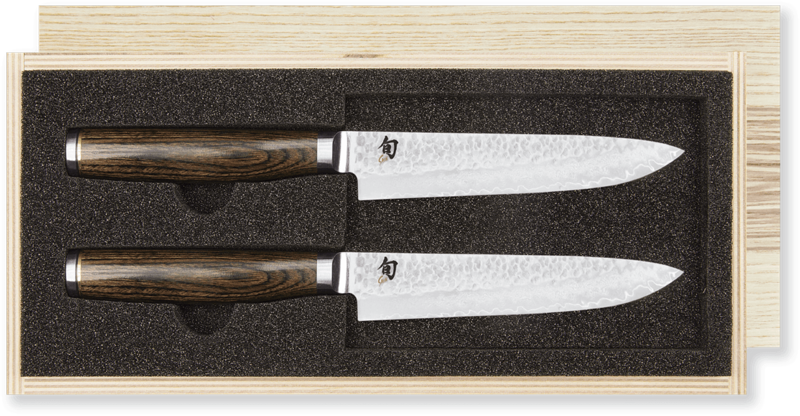 In this premium series, the high-quality material properties of the well-known Shun Classic Series are combined with an entirely novel and commanding overall appearance. The blade is divided into three different textures: The blade's back down to its middle has been hammered to create a surface known as Tsuchime. This is followed by a fine matt Damascus grain typical for Shun. The blade is finished with a highly-polished precision cutting edge. The meticulously machined blade is paired with a medium brown, grained pakkawood handle. The blade's particularly hard and durable steel core provides incredible sharpness and a long-lasting cutting ability. The Shun Premier blade's core fashioned from extremely hard VG Max steel and is enveloped in 32 layers of Damascus steel. This combination of different steel grades makes the blade both hard and flexible at once. The double-sided blade is easy to use because it its light weight and guarantees a clean and precise cut. The incorporation of a hammered surface - known in Japan as Tsuchime - underlies not only aesthetic reasons, but also serves the release of material from the blade thanks to the resulting air pockets.  Thanks to its symmetrical shape, it is suitable for both left- and right-handed users. A continuous tang ensures stability and balance whilst cutting. As a special touch, the handle's end has been engraved with Tim Mälzer's bull's head, the professional chef's trademark.